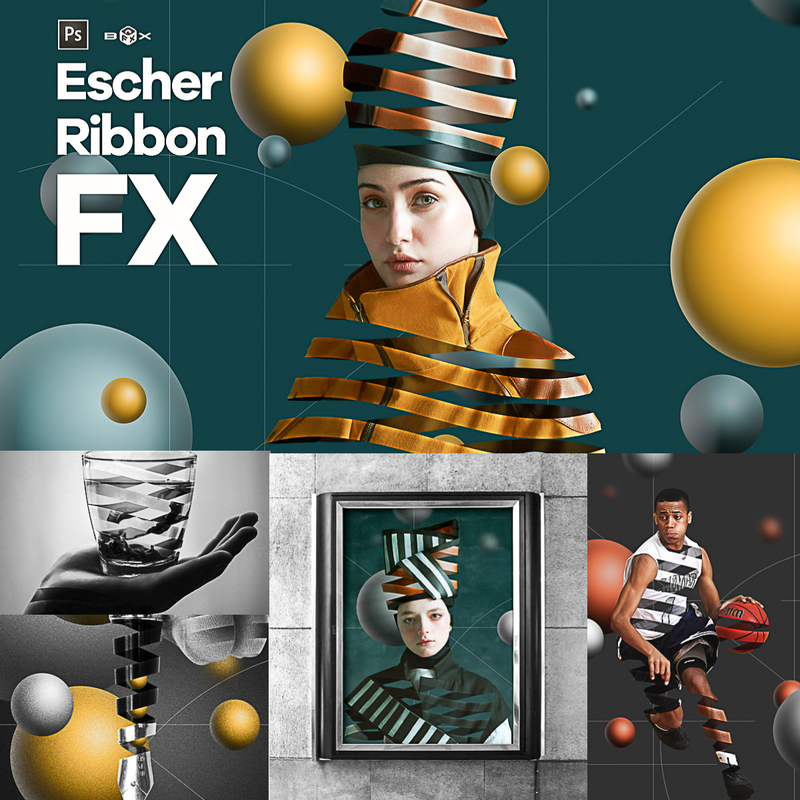 Introducing the Esher Ribbon Extension for Photoshop. The code is designed to work with any image, at any resolution and depth. It works with Texts, Paintings, Illustrations and Photos. The final result will be in RGB Mode 8-bit regardless of the starting format: remember you can switch back to your settings once the Actionscript have finished. File format: .jsx, .pat for Photoshop or other software. Tags: 3d, Artistic Photo Effect, bandages, empty space, escher, fashion, future, futuristic, high quality, peel, photo effect, photography, photoshop add-on, photoshop extension, photoshop plugin, professional, ribbon, stripes, stripes photo effect.